Happy Friday! I wrote this post yesterday and found myself not knowing what day it was… then I realized it was practically the weekend and got so excited. I guess I just lost track of days this week! 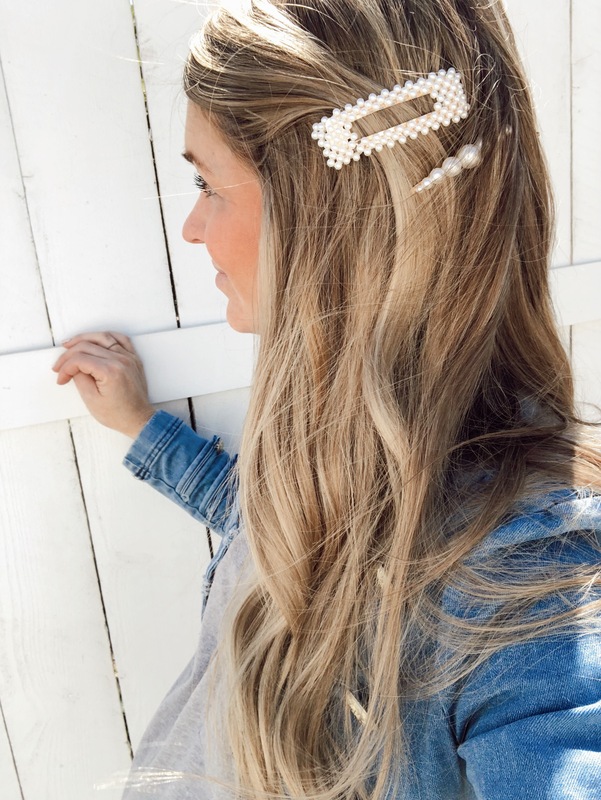 If you follow any influencers on Instagram, I’m sure you’ve seen them wearing hair clips. They are back in a big way! 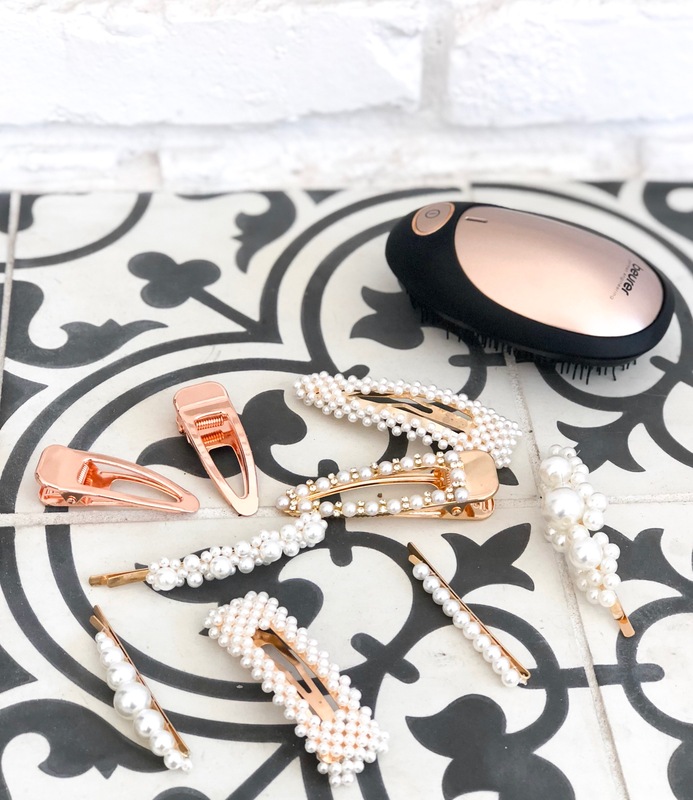 These little barrettes totally take me back and remind me of my junior high days… but like any trend that makes it’s way back, they’re much chicer now. I’ve been loving wearing them in my hair… and even Crosby’s (as seen in my last post). I found my favorites on Amazon, but wanted to share even more cute ones I’m loving. 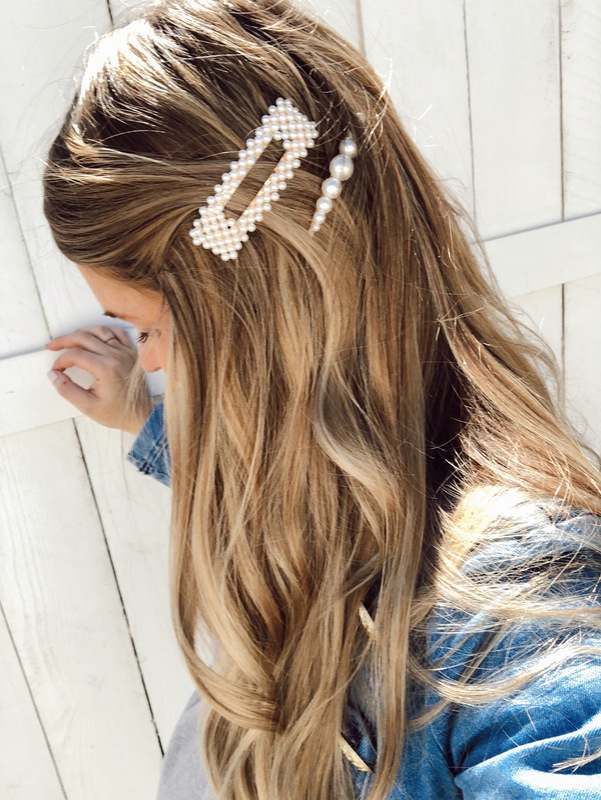 This is the pack of pearl embellished clips – they’re only $9 and come with a variety. I got the rose gold pair at Forever 21, but I’m not seeing them online. I do love this set from them. For bigger barrettes, you can never go wrong with tortoise-shell. These are more heavy-duty and will hold more hair. Here is another really pretty set that would look even better dressed up! I’m loving options with fun sayings – like this. So cute! And lastly, here is a really cute variety pack… a little bit of everything.